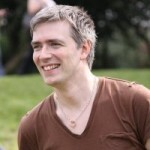 Jeremy Coates is Managing Director of Magma Digital Ltd who recently released the PEAR channel aggregator http://pyri.me/ He also is the founder of PHPNW http://phpnw.org.uk/ , the PHP user group and conference in Manchester, UK. Jeremy's PHP experience spans over 13 years from small business to enterprise and he has integrated PHP with everything from mainframe systems to more modern APIs. His passion is for increasing professionalism within the web sector and encouraging developers to challenge themselves daily. To that end, his most recent venture is the launch of Codejo (Coding Dojo), a hands-on event where developers learn coding approaches or Katas to improve their skills.